Browse all of our beautiful condos and start planning your vacation today! Find that home away from home feel with our cozy and comfortable condos that are full of everything you need for relaxing stay in Gatlinburg. Get everything you deserve on a vacation, including free Wi-Fi, an indoor heated pool, convenient location, and much more when you stay with us at Gatlinburg Oak Square Condominiums. We know you want to stretch the dollars you spend, so take a look at our current specials that make us the affordable and fun choice for your vacation in the Smokies. 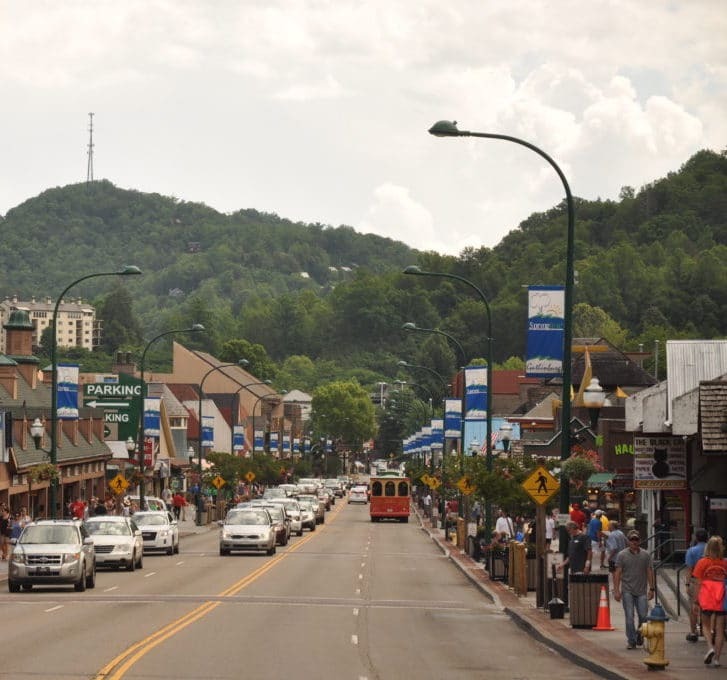 Welcome to Oak Square Condominium’s of Gatlinburg located in the heart of downtown Gatlinburg on River Road, just steps from Ober Gatlinburg’s Aerial Tramway. We’re within strolling distance of the Gatlinburg Convention Center, restaurants, and unique shops and adjacent to the Great Smoky Mountains National Park, Ripley’s Aquarium of the Smokies, and Ripley’s Believe It or Not Museum. Oak Square is only a short drive to Pigeon Forge, known for its outlet shopping malls, Dollywood, music theaters & Dolly’s Splash Country. Enjoy your vacation in the Smokies while staying in a delightful condo, tucked away in the Smoky Mountains of Gatlinburg, Tennessee. Private balconies are a warm welcome to the Heart of the Smokies. Our one bedroom units offer private balconies overlooking our seasonal outdoor pool. 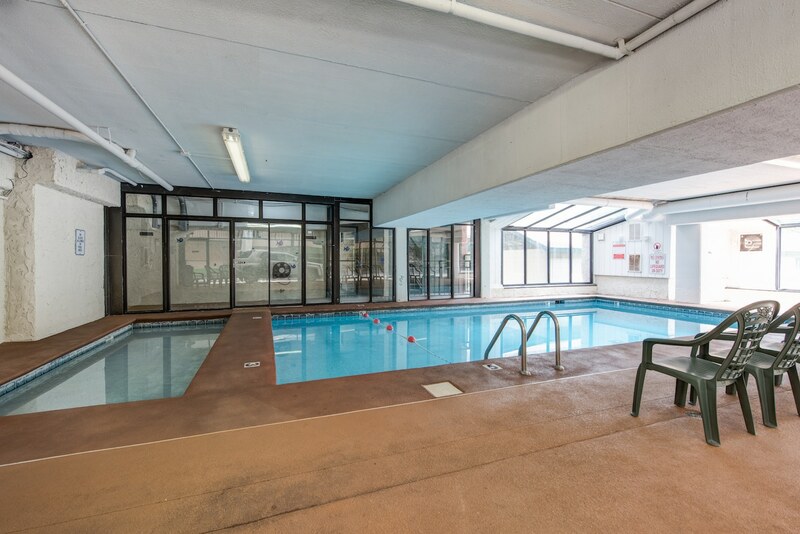 You will also want to check out our wonderful indoor pool area with an 8′ deep swimming area. For the toddlers, we have a wadding pool located at our indoor facility. All our units have seasonal fireplaces as well as kitchenettes Oak Square also has accommodations for groups. We have a conference room that will seat up to 50 people theatre style. The meeting room will also open to the outdoor pool area making it perfect for receptions or family reunions. 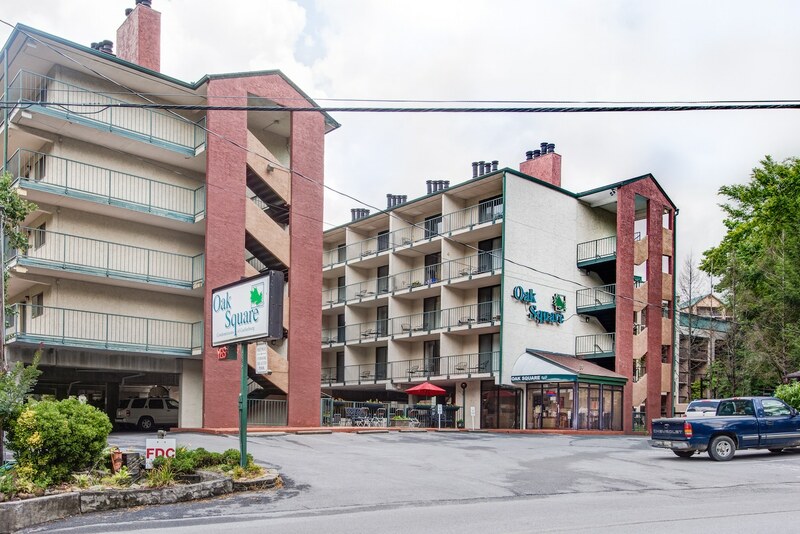 If you are looking for a home away from home, stay with us at the Oak Square of Gatlinburg. Call us! Toll Free: 866-743-6395 for reservations or book online now! We would love to hear from you! Give us a call to start planning your Gatlinburg vacation! © Gatlinburg Oak Square Condominiums is a Sidney James Property. All Rights Reserved.